If you read this article, you might be thinking about moving your business to the internet. Now is the best time because the e-commerce industry all over the world has grown significantly in recent years. More and more customers prefer online shopping to traditional ways of making purchases. In 2014 e-commerce sales exceeded $1.5 trillion globally. However, moving your sales to the internet requires careful planning and implementation. The first and the most important step is choosing the right e-commerce platform for your online store and the developer team to make the heart of your internet empire beat. If you make a wrong decision, you might end up with a sluggish and inefficient system, time-consuming order management and ever increasing maintenance costs. Based on recent marketing researches, the ideal e-commerce platform must meet certain criteria such as cost efficiency, ease of use, scalability, support and other. Spree Commerce is the platform that combines the best features of modern e-commerce platforms in terms of functionality and user experience. There are more than 20,000 online stores worldwide running on Spree Commerce. AYR, Lavazza, On Running, 20 Jeans, Rick Owens and other famous brands have implemented it in their business models. Thus, Spree Commerce can be used as a good example. 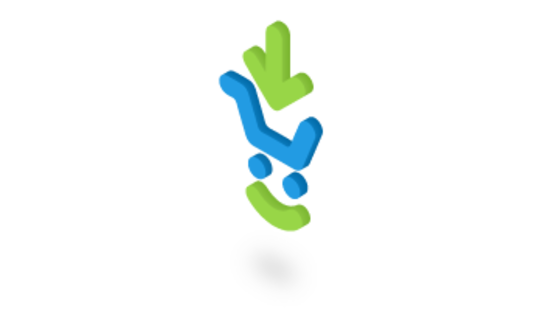 Spree Commerce is a completely free open source project. Anyone can do modifications to the code. It has more than 500 active contributors all over the world. 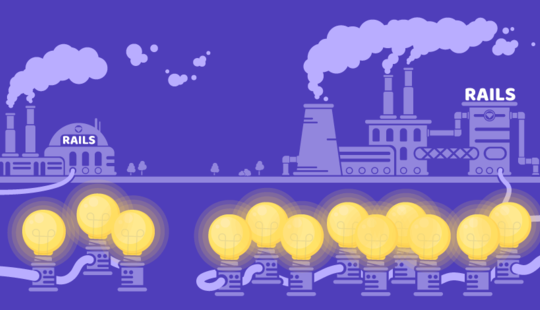 The platform develops rapidly (even more rapidly than other commercial projects) and effectively utilizes the demands of ever changing market and its users. You do not need to pay for the license or give away percent of revenue. Just download, set it up and start using. The platform is especially good for the beginners or businessmen with tight budget. Yes, the platform is based on the Ruby on Rails framework an elegant, fast and modern programming solution. This means that you will spend less time, efforts and resources to implement a new feature or enhance functionality, comparing to other e-commerce platforms. The core of the platform is lean and agile, prepared for advanced customization to suit any customer needs. When you launch the store, you will spend much time in its backend managing orders, customers and payments. Spree Commerce provides an easy and fast management system. You will be amazed with simplicity and functionality of the dashboard. You can adjust payment methods, product sorting, tax rates, currencies and other vital settings in just a few clicks. With Spree Commerce you will focus on making money instead of wandering around to find the right button. Spree Commerce offers an impressive set of features that improve performance of your store. There are many options for SEO, such as keyword targeting, permalinks, meta-descriptions of products and much more. Spree Commerce supports all major payment methods and gateways. It also offers various extensions to the users. Spree Commerce can be easily integrated with external services, such as Jirafe, Mandrill, Amazon, Bronto, Odoo, Shipstation, Zendesk, Netsuite, Mailchimp and many more. There is a huge community behind Spree Commerce. The participants actively develop the platform, add new functionality and solve challenges together. If any issue arises, feel certain that you will find the right answer and get help. There are free workshops, trainings and the famous annual SpreeConf. Spree Commerce provides a complete set of documentation as well. In conclusion, we would like to recommend you the team of professional Ruby on Rails developers that focuses on creating robust and efficient e-commerce systems. The RubyGarage team has already implemented and launched hundreds of successful e-commerce sites. 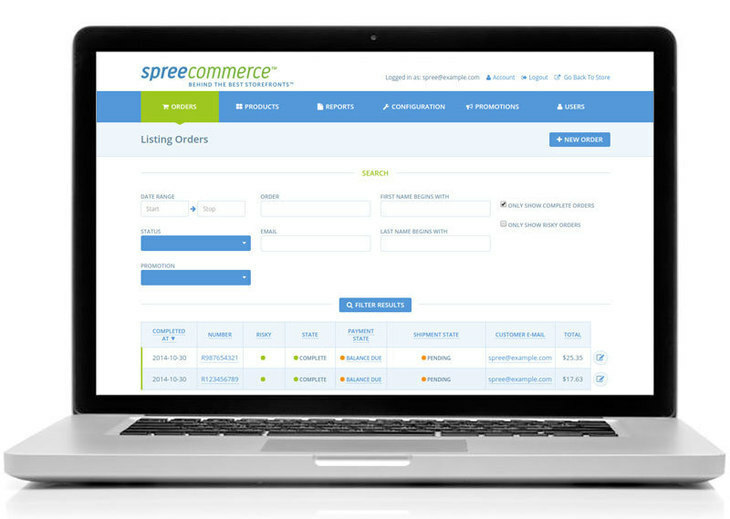 As certified Spree Commerce Developers we're gaining popularity in both the USA and Europe. Whether you are an e-commerce beginner or a large-scale businessman, you will get a cost-effective solution for your budget. Be smart, use Spree Commerce and boost your sales to space.